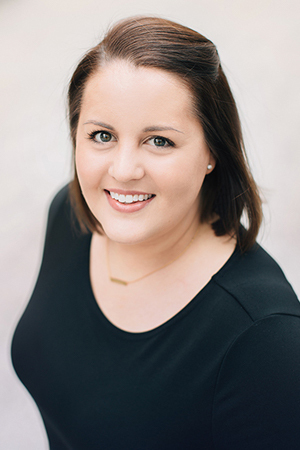 Ellie is a bilingual (English/Spanish) speech and language therapist from St. Louis, Missouri. She has her B.S. in communication sciences and disorders and her M.A. in speech-language pathology from Saint Louis University. She completed her clinical fellowship year in Houston, Texas where she trained as a bilingual speech pathologist in an elementary school setting. Ellie has experience in home health, educational, and private clinic settings. Her specialty is working with young children and their families who speak Spanish. Ellie is Hanen Certified in “It Takes Two to Talk,” as well as PROMPT trained. She began working at the Walker Scottish Rite Clinic in the fall of 2015 leading the KidTalk Spanish program. Twice per week she conducts outreach therapy at SouthSide Early Childhood Center. Ellie serves as a mentor in Maryville University’s Women’s Leadership Mentoring Program. A fun fact that you might not know about Ellie is that she loves beekeeping!